Achieve professional make-up results with the Japonesque Velvet Touch® Eye Set; a four-piece brush collection that allows you to expertly define your eyes. 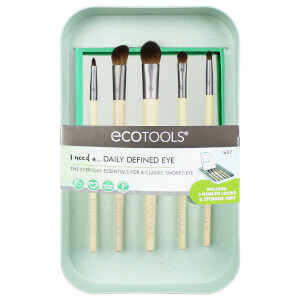 Travel-friendly, the set features durable Velvet Touch® handles and soft brush heads for effortless blending and application. 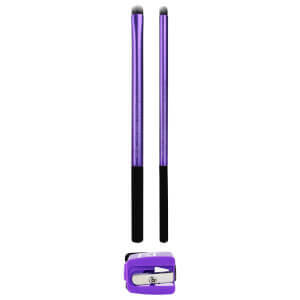 With a thin, angled tip that fits close to the lash line for smooth application of eyeliner, the brush reaches every curve and crease for beautifully defined eyes. 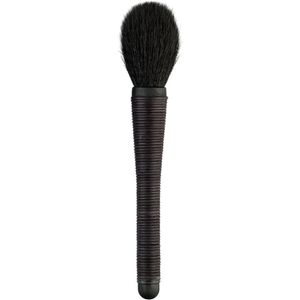 Featuring a tapered brush head with silky soft, natural fibres, the must-have tool allows effortless application and controlled blending of eyeshadow powder so you can create salon-worthy, smokey effects as natural or dramatic as desired. Constructed with a densely packed, bevelled tip and natural fibres, the brush edge can be used to distribute colour for added depth and definition, whilst the flat face allows precision blending. Create soft lines in the eye crease, at the outer corner of the eyes, or along the lash line. Suitable for use with loose or pressed eye make-up, you can easily soften, smudge and blend colour.